Manny V In The Water: SUP Get Aways In Northern Baja? Oh yeah... in collaboration with John from PaddleSurf.net and ultra waterman, Matt Wilson, I will be organizing SUP trips to Northern Baja. John, Matt and myself are piecing together the ultimate SUP trip to the ever nostalgic Northern Baja. 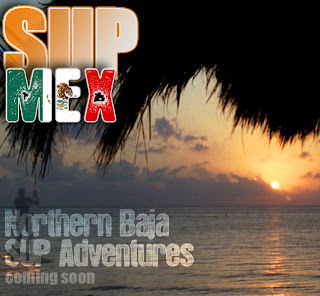 If you've been on a trip with me to Baja or Mexico for that matter, you know that I really don't have to do much to show you a great time. Throw in my Mexican roots, Matt's great attitude and Baja experience plus John's amp on SUP and you get a recipe for something insane. Lobster dinners, posh accommodations, 24/7 tour guides, photos, video... the list goes on! We'll have something on the FFATtrips.com site by mid June. Believe me... the limited spots will fill up before you can say Supercalifragilisticexpialidocious. Keep your eyes peeled here for the latest!